Showing donor love and asking for more money should not be mutually exclusive activities. Inspiring upgraded support requires both to work hand-in-hand. Unfortunately, for many nonprofit organizations, stewardship is the poor stepchild of the fundraising process. It is often ignored or poorly implemented. It is usually an underfunded activity. As a result, donor-retention rates for the nonprofit sector are pathetic. Development professionals who think about stewardship usually believe that it is something sandwiched between when a gift is received and the next appeal. In other words, stewardship and fundraising are separate functions. However, Joe Garecht, President of Garecht Fundraising Associates and Editor of The Nonprofit Fundraising Digest, believes that the next appeal is actually an integral part of a robust stewardship process. An upgrade appeal will not achieve maximum success without sound stewardship. Done well, an ask is an extension of the stewardship process. Joe’s thinking makes sense. If we love our donors, why would we want to deny them the satisfaction of continuing to support a cause they care about? Why would we want to deny them the opportunity to make a larger commitment? Helping donors to continue feeling good about continuing to do good is part of good stewardship. We want our donors to feel important, feel needed. One way to do that, is to ask and to ask for more than they gave last year. However, we shouldn’t make an upgrade appeal in a vacuum. It’s not just about asking. As Joe explains in his guest post below, it’s about incorporating the ask into a sound stewardship system so that the upgrade appeal is a natural evolution of our relationship with the donor. Stewardship and asking are not separate activities; they part of a cohesive system. One of the most important fundraising systems you can build at your nonprofit is an effective donor stewardship strategy. Donor stewardship starts with thanking your donors for their gifts… but is much more than that. Donor Retention: You want to make sure that your donors keep giving year after year. Referrals: You want your donors to introduce you to their friends and colleagues who also might want to get involved with your organization. Donor Upgrades: You want your donors to give more this year than last year, and to move to major gifts and planned giving, if they have the capacity to do so. In this article, we’re going to take a look at that third goal. We’re going to answer the question, “How can you get your current donors to give more this year than they did last year?” To understand how to best upgrade your donors, we’re going to first explore why donors make the decision to upgrade, and then review a simple, four-step strategy for getting your donors to upgrade this year. Donors upgrade because they have been stewarded effectively. The most important reason why donors upgrade is because they have been properly stewarded. This means that your nonprofit has appropriately thanked and recognized them for their past gifts, and has continued to build a relationship with them. Your donors want to feel like they are an integral part of your team. They want to feel appreciated, valued, and heard. If you are treating your donors well, keeping them updated on your work, seeking their advice and input, and reporting on outcomes in between asks, your donors will be far more likely to upgrade their gifts. If your donors are investing their emotional energy, knowledge, and time in your work, then upgrading their financial investment will be the next logical step. Donors upgrade because you are casting a big vision. One of my favorite maxims in fundraising is this: Donors don’t make big gifts to small visions. Your donors want to change the world. They want to make a difference. If you are not casting a big enough vision, your donors will make their big gifts elsewhere, investing in organizations and companies that are. Every nonprofit can cast a big vision…even small, local organizations working in one small corner of the world. Start by asking yourself, “How are we changing the world? How are we changing lives? How are we saving lives?” Your answers to these questions will help you think through the real impact of your work. If you want your donors to give more this year than they ever have before, you need to cast a bigger vision this year than you ever have before. Donors upgrade because they are asked to upgrade. Donors only upgrade when you ask them to do so. 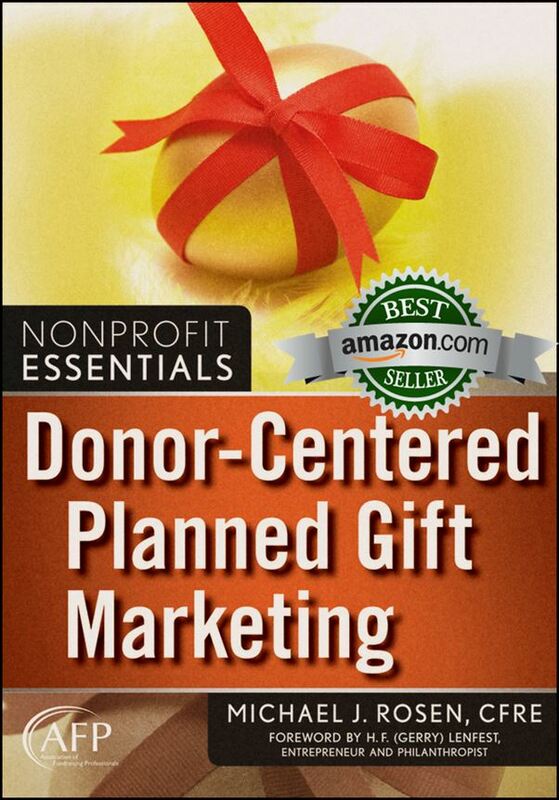 Very few donors will upgrade their gifts without being asked. Thus, if you want your donors to give more this year than they did last year, you need to go out and ask them to do so. While the majority of your stewardship system should be focused on cultivation, asking for donations from current donors (including renewals and upgrades) is an essential part of the fundraising cycle. In order to be successful, the upgrade process should be systematic. This means that you shouldn’t ask for upgrades here and there, whenever the whim strikes you. Instead, you should have a defined plan in place to review your donors’ capacity and ask them for upgrades as often as appropriate. Step 1 — Thank your donors for their past support. The first step in any upgrade ask is to thank your donor for everything he or she has done for your nonprofit. This includes the advice they have provided, the time they have given you as a volunteer or committee member, and the donations they have made to your organization. Make sure your donor feels appreciated and affirmed. Step 2 — Show donors how they have made an impact. Step 3 — Explain why you need more money. After showing your donors how they have made a real, concrete impact through their gifts, you need to explain to your donors why you are asking for more money this year. Remember, the people you are talking to have already made one or more gifts to support your nonprofit. You are now asking them to give even more money than they have in the past. You need to tell your donor why you are asking for this larger investment. Perhaps you are trying to serve more people over the coming year. Maybe your vision has expanded, or you need to add new staff members to make your team more efficient. Whatever the reason, be sure to cast a big vision and explain your increased need. Step 4 — Make the ask. Finally, make your ask for a larger gift. As with all asks, make sure your ask is a real question (not a statement), and that you are asking for a specific amount. This applies whether you are asking in person, on the phone, or through the mail. 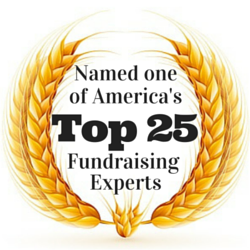 Your current donors are your nonprofit’s biggest asset. One of your most important jobs as a fundraiser is to steward them well. An integral part of the stewardship process is asking your donors to continue giving, and when possible to give more this year than they did last year. Using the tips and strategies in this article will help you successfully upgrade your donors this coming year! Stewardship and fundraising should not be separate, unrelated activities. Instead, they should be part of an integrated system. When that happens, donors will be more willing to renew and upgrade their support. That’s what Joe Garecht and Michael Rosen say… What do you say? Your blog postings are incredibly important for smaller charities like ours. Our revenues are in the $300k range but approximately 30% of that comes through our monthly giving program. My question is about asking monthly donors to increase their amounts. How often should that be done? And should you segment your list and ask that segment every 18 months? Basically, how to make this program even more successful. Thanks for the input – love reading your posts! Larry, thank you for your kind words and terrific question. I thought about dashing off a quick answer, but then I realized it would be over-simplified in this format. Given the importance of the topic and the likely interest others will have in it, I have invited Erica Waasdorp, author of Monthly Giving. The Sleeping Giant., to respond to your inquiry by writing a guest post. You can expect to see Erica’s post within the coming weeks. Haven’t said it yet, but glad you are back, Michael. Rev. Rick, thank you for your thoughtful message. It’s definitely great to be back! The legendary management Guru Peter Drucker stated that the purpose of business is to create and keep a customer. Oddly, we don’t get it. Creating a donor begins within the organizational structure. In fact, the only impactful and effective stewardship I have found begins long before the initial ask. As long as we think stewardship is a separate plan, we will not see results. For proof look at the years since Donor Loyalty was published. Zero impact for over a decade. A lot of people are in good company: Tom Watson couldn’t see a market for personal computers, Lord Kalvin, A Yale Management professor could not see value in Fred Smith’s business plan for Fedex, Decca recording rejected the Beatles….smart people just getting it wrong. We have the donor retention conversation completely wrong and the data proves it….but I bet there are folks who may argue, because lets not forget there is money to be made in the way it’s always been done. Jay, thank you for sharing your thoughts. For a profession that talks a lot about the importance of building relationships, it’s shocking how bad many fundraisers are at this. You’re right. There is no excuse for the falling donor retention rates. There is plenty of available information about the problem and how to deal with it. So, the only question is: Why isn’t the nonprofit sector getting the job done?